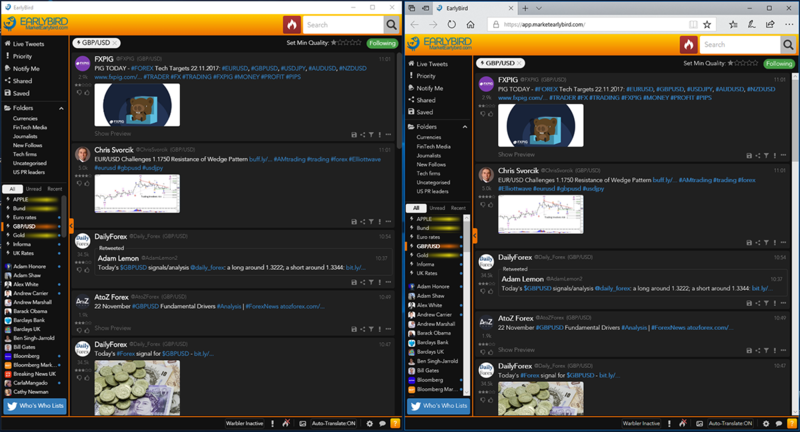 Market EarlyBird - compliant, read-only Twitter for financial professionals - is designed to run in a browser. However some traders prefer to run all their applications in a local secure environment, and indeed some financial firms insist on it. So we’ve teamed up with OpenFin to provide this capability. A Mac version of the OpenFin wrapper is planned, but is not yet available – if you’re using a Mac you can continue to use the web app, which runs happily in Safari. EarlyBird Desktop runs exactly as it does in a browser, except you don’t have the browser controls to enable you to open other tabs, move forward and back, reload, print, etc. Its advantages include multiple monitor support, using native windows which can popup, tear out or dock, and persistence of window size and location between login sessions. Web links in Tweets are launched in your default web browser. Links in the Market EarlyBird app, such as Settings and Search Results are displayed in popup windows, while clicking on the Who’s Who Lists button launches a separate app using a new OpenFin instance. There are minor cosmetic differences in the interface. The image below shows EarlyBird Desktop on the left, and the EarlyBird Web running in an Edge browser window on the right. If you have any difficulty installing EarlyBird Desktop, or OpenFin, then there's more information and some troubleshooting tips here. You’ll see the scroll bars are different, and the web app has a browser address bar at the top. Otherwise they’re the same, and tweets arrive at exactly the same time. To install EarlyBird Desktop, simply visit this page on our website (also accessible by clicking the “Run” menu item at the top right of our home page). The second section is “EarlyBird Desktop – Best for Windows”, shown here. The first time you visit, click on the “Install OpenFin wrapper if needed” link, and all the necessary software will be downloaded and installed – no admin rights are required. 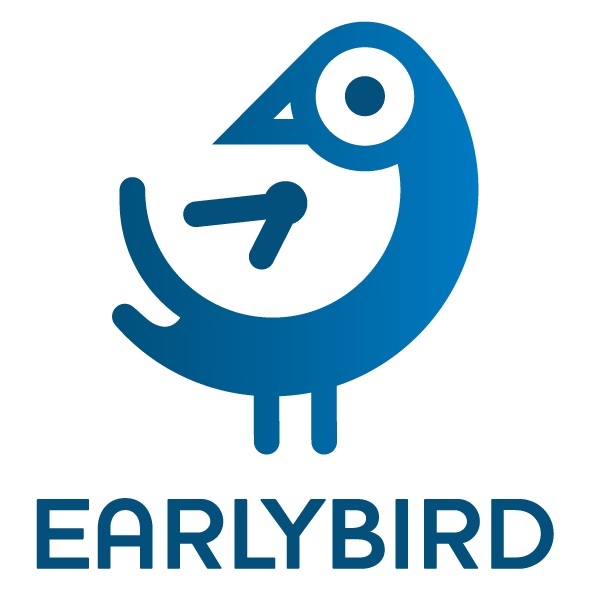 After that you can just click the “Run EarlyBird Desktop” button to launch the EarlyBird desktop. There’s an explanation of how to launch EarlyBird Desktop automatically at Windows startup. You can also pin it to the Windows taskbar. Right-clicking on the logo of the running app doesn’t give you the pin to taskbar option, however if you type “earlybird” into the taskbar search box, the EarlyBird Desktop app shows as a match. Right click on this and select the “Pin to taskbar” option.